Timber fire doors demonstrate outstanding performance in ongoing MHCLG fire door investigation. At the British Woodworking Federation (BWF), we stand firm in our view that the only way to address the legacy of fire door neglect is through rigorous product testing and third-party certification. The Ministry of Housing, Communities and Local Government (MHCLG) fire door investigation has further evidenced this, with their testing to date finding that timber fire doors consistently deliver on their performance promises. This is in direct contrast to the glass reinforced foam filled fire doors recovered from Grenfell Tower that started the MHCLG investigation into the fire door sector. This investigation to date has reported no failed timber doors since they expanded their investigation into the broader market in October last year. Many BWF members who have had their fire doors put through the government commissioned fire-resistant tests have reported exceptional protection. 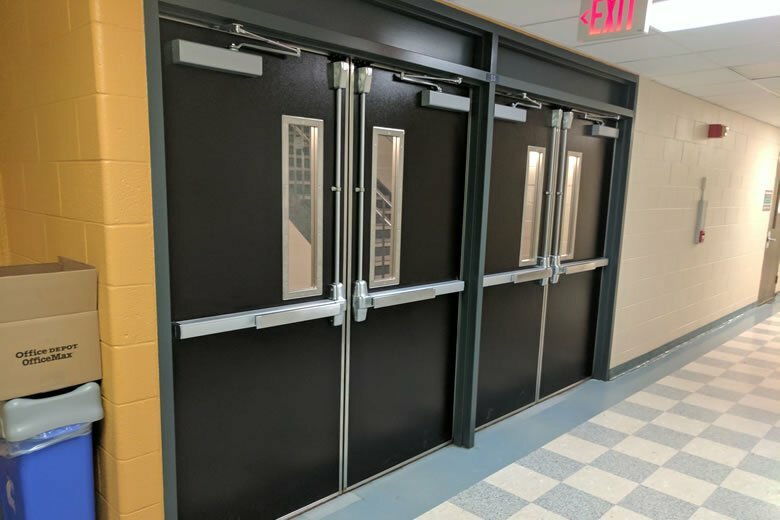 Fire doors that are marketed to reach at least 30 minutes of performance have exceeded the standards by a significant margin. Results reported to the BWF to date demonstrate that a number of doors have resisted fire for as long as 54 minutes, surpassing 30-minute requirement time by 24 minutes. On average, across the data submitted, fire-resisting time currently stands at 46 minutes, surpassing the 30-minute requirement on average by 16 minutes. Through the BWF’s Fire Door Alliance, we work to improve the quality, safety and traceability of fire doors. We often see non-certified fire doors that are not fit for purpose which is alarming and unacceptable as they simply won’t fulfil their essential role of preventing the spread of fire and smoke and keeping escape routes clear. The problems are deep rooted, whether it be the use of uncertified, incompatible and non-fire-resistant components, poor fitting or inadequate maintenance. Essentially, our collective mission is to ensure that, through third-party certification, compliant, high quality products are placed on the market. Fire safety is simply not a nice to have, it is an urgent priority to ensure that another atrocity like Grenfell never happens again. With the Fire Door Alliance, we have been campaigning for greater fire safety for decades – including starting the Fire Door Safety Week national awareness campaign seven years ago. In conjunction with our members, the week raises the profile of fire door issues working to inform, educate and call for change. Importantly, it also generates awareness of how fire doors protect occupants, buildings and fire fighters. The Government is rightly focused on providing communities with greater protection through implementation of its much needed ‘Building a Safer Future’ plan. The introduction of a more effective regulatory framework, greater accountability, supported by clearer standards and guidance will create a more responsible building industry. Product safety performance and traceability will be key, with testing and certification intrinsic to driving this forward.